The untold story of five women who fought to compete against men in the high-stakes national air races of the 1920s and 1930s  and won. Between the world wars, no sport was more popular, or more dangerous, than airplane racing. Thousands of fans flocked to multi-day events, and cities vied with one another to host them. The pilots themselves were hailed as dashing heroes who cheerfully stared death in the face. Well, the men were hailed. Female pilots were more often ridiculed than praised for what the press portrayed as silly efforts to horn in on a manly, and deadly, pursuit. Fly Girls recounts how a cadre of women banded together to break the original glass ceiling: the entrenched prejudice that conspired to keep them out of the sky. 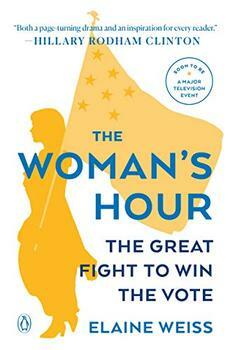 O'Brien weaves together the stories of five remarkable women: Florence Klingensmith, a high-school dropout who worked for a dry cleaner in Fargo, North Dakota; Ruth Elder, an Alabama divorcee; Amelia Earhart, the most famous, but not necessarily the most skilled; Ruth Nichols, who chafed at the constraints of her blue-blood family's expectations; and Louise Thaden, the mother of two young kids who got her start selling coal in Wichita. Together, they fought for the chance to race against the men  and in 1936 one of them would triumph in the toughest race of all. The coal peddlers west of town, on the banks of the Arkansas River, took note of the new saleswoman from the moment she appeared outside the plate-glass window. It was hard not to notice Louise McPhetridge. She was young, tall, and slender, with distinct features that made her memorable if not beautiful. She had a tangle of brown hair, high cheekbones, deep blue eyes, thin lips programmed to smirk, and surprising height for a woman. At five foot eight and a quarter inches?- she took pride in that quarter inch?- McPhetridge was usually the tallest woman in the room and sometimes taller than the cowboys, drifters, cattlemen, and businessmen she passed on the sidewalks of Wichita, Kansas. What do you think about calling these remarkable women Fly Girls Do you think it was complimentary or derogatory, and why? Other than the central aviatrixes, which male and/or female figures stood out for you? Were there people you found that were particularly helpful or harmful to the women's cause? Even while competing, the women pilots were supportive of each other (e.g., agreeing to wait for Earhart to receive a new propeller). Why do you believe this was? Would it have been the same, do you think, had the participants been all male? Why or why not? Here are some of the comments posted about Fly Girls. A reporter asked Elder if it was worth risking her life, and she replied that it was. Do you agree? Do you think Raymond Orteig was liable for the injuries incurred by those who participated? Do you think this issue would have a different outcome today? Do you think there are still fields where women struggle for acceptance? Do you think there's any truth, either then or now, to Erle Halliburton's comment that women have been dependent on men for so long that "they are handicapped"? Earhart, Elder, Thaden and the other women were passionate about flying. Is there any activity you undertake that inspires this type of passion in you? [An] engrossing mix of group biography and technology history. Keith O’Brien has brought these women—mostly long-hidden and forgotten—back into the light where they belong. And he’s done it with grace, sensitivity and a cinematic eye for detail that makes Fly Girls both exhilarating and heartbreaking. 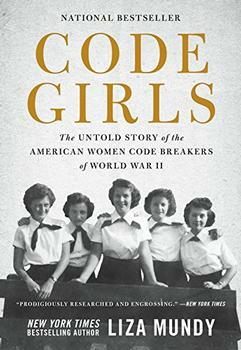 Mr. O’Brien, a former reporter for the Boston Globe working in the tradition of Hidden Figures and The Girls of Atomic City, has recovered a fascinating chapter not just in feminism and aviation but in 20th-century American history. A riveting account that puts us in the cockpit with Amelia Earhart and other brave women who took to the skies in the unreliable flying machines of the ’20s and ’30s. Let’s call it the Hidden Figures rule: If there’s a part of the past you thought was exclusively male, you’re probably wrong. Case in point are these stories of Amelia Earhart and other female pilots who fought to fly. A vivid, suspenseful story of women determined to defy gravity—and men—to fulfill their lofty dreams. This fast-paced, meticulously researched history will appeal to a wide audience both as an entertaining tale of bravery and as an insightful look at early aviation. The narrative flows easily....as O’Brien shifts between them, showing their competitive spirit and camaraderie even in the face of the trying circumstances of the first Women’s Air Derby in 1929. Starred Review. O'Brien details in crisp and engaging writing how his subjects came to love aviation, along with their struggles and victories with flying, the rampant sexism they experienced, and the hard choices they faced regarding work and family. Highly recommended for readers with an interest in aviation history, women's history, cultural history, and 20th-century history. This is more than history; it is a powerful story for our times. This book has it all: adventure, tragedy, and heroes who overcame cruel prejudice to rule the air. Fly Girls reads like a heart-stopping novel, but this story is all true—and thoroughly inspiring. Newspapers loved them, of course: lady fliers! But men didn’t want them in their races. Other forces conspired against them too. Storms loomed. Planes crashed and burned. But no challenge could stop the remarkable community of female pilots at the core of Fly Girls. During the golden age of flight, they fought for the chance to race – and won. This is a thrilling story of courage, competition, skill, and triumph. America’s past is full of remarkable women who have been unjustly forgotten. Fly Girls gives its heroines their due at last. It is a thrilling and important story, superbly told. At the dawn of aviation, when every flight was a test of courage, a remarkable band of female pilots proved that a woman’s place is in the sky – or anywhere else she wants to be. This book is a soaring tribute to forgotten American heroes, filled with white-knuckle thrills and gut-wrenching emotion. It’ll take your breath away. If you liked The Boys in the Boat or Unbroken, you’ll love Fly Girls. This story—carefully researched and expertly written—offers an irresistible cast of characters and high-octane drama. Buckle up; you’re in for a hell of a ride.